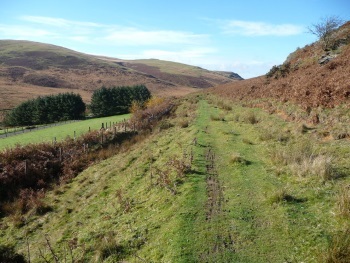 Various datasets relating to the rights of way management in Rhondda Cynnon Taf had fallen out of date, and exeGesIS was asked to assist Rhondda Cynnon Taf County Borough Council with the task of updating and correcting this information, using data from multiple sources to do so. The data included Path Order Plans, the original Definitive Maps for Rhondda, Cynnon & Taf Ely, OS County Series maps and the Definitive Statements for the paths, as well as modern digital mapping such as the Ordnance Survey MasterMap data. The first stage of the project was to scan and register the Definitive Map sheets and the Order Plans so that the base mapping could be compared to MasterMap. Direct tracing of the routes from the Definitive map scans was not practical, as many of the original Definitive Maps were of too small a scale, so the maps had to be interpreted by the digitisers to plot the routes against the MasterMap cartography. Next, the changes made by the Orders had to be applied to the digitised network to bring it up to date. This included several large orders that came into force when major new roads were built, as well as smaller scale orders. The result from this was a digitised network which accurately reflected the Definitive Maps, as amended by all the subsequent Orders. As part of the process, anomalies that could not be corrected were highlighted to the officers at RCT. These included things like developments built across the Rights of Way of which the authority had not been informed. This project gave the RoW team at RCT an accurate, up to date digital mapping layer of their rights of way that was loaded into their CAMS solution. This was combined with integrated Orders and Statements so that all the legal information for their Rights of Way was available in one place.